Last night, Nvidia debuted its new Turing architecture, revealing some essential details regarding the first graphics card that will use it. Turing architecture is equipped with a dedicated “RT Core,” which is hardware that is made to drive ray tracing, a technique that is responsible for more lively light effects, although it has been pretty hard to deliver such realistic experiences in real-time. 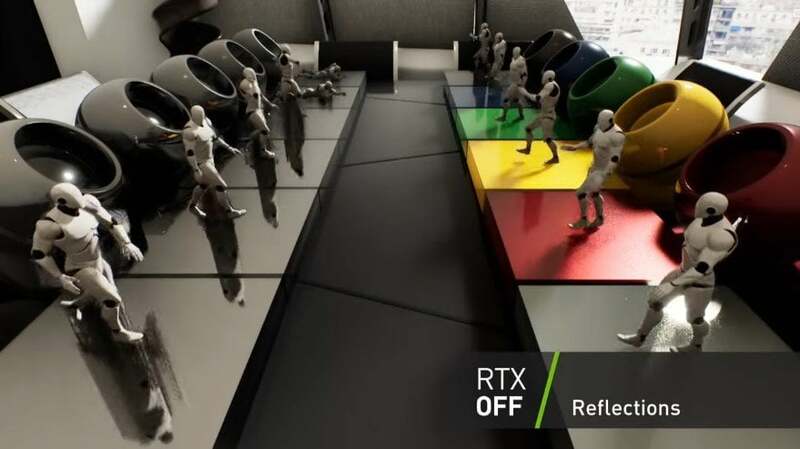 The company revealed its Turing-based Quadro RTX as the “world’s first ray-tracing GPU,” adding that this was the largest leap of the company since the initial introduction of CUDA cores in 2006. Nvidia’s Quadro RTX products will be used for top-end and professional use, rather than gaming. The graphics will cost $10,000 when it releases to the public at the end of the year. The $10,000 GPU comes with 48GB of new GDDR6 memory, followed by 4,608 CUDA cores and 576 Tensor cores. The ray tracing capabilities will be clocked at 10 gigarays per second, adding more general performance at 16 teraflops. The GPUs will be equipped with NVLink, Nvidia’s interface that allows use of multiple cards. Also, they support the VirtualLink standard for powering VR headsets using nothing other than a USB-C cable. These announcements were made at SIGGRAPH, a conference that is intended for computer graphics experts. During Gamescom, that is to be held next week, it is expected that Nvidia will be making more announcements regarding its new Turing architecture, as well as the generation that will be intended for the consumer market, meaning the GeForce gaming GPUs. Several weeks ago, we wrote about the “spectacular surprises” that Nvidia promised for the visitors of Gamescom next week. One of those surprises could definitely be the next generation of Nvidia GPUs intended for gaming. Moreover, more details could be disclosed on how its ray-tracing technique could be used in games. Turing architecture is named after the computer scientist and mathematician Alan Turing, who was one of the first people with the idea of a computer, making the Turing Machine that could abstractly solve any algorithm. Nvidia even gave a tribute to Turing a few months ago for his birthday on Twitter, hinting that the Nvidia new Turing architecture would be named after the scientist.